There have been some big changes happening in my world! My husband Gabe and I just bought a house. What an emotional ride that process was!!! After 10 contracts that didn't go through, we ended up in a house that is perfect for us. The house was built in 2005 and was a rental for the past 5 years so it needed some updating. 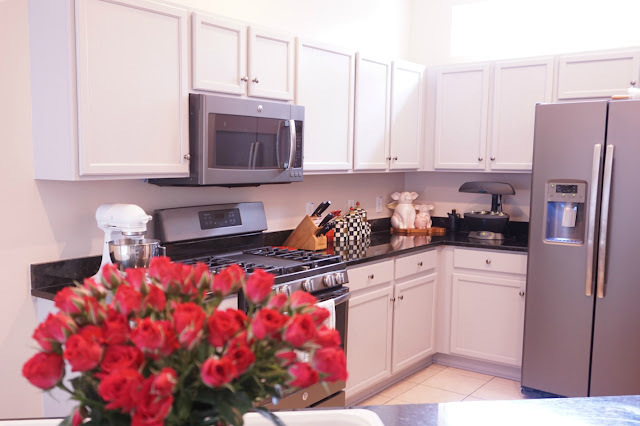 The kitchen needs a makeover, the flooring needs to be completely redone and the bathrooms need a face-lift. We have a small budget for the updates and Gabe insists on doing everything himself (which means my poor father in-law has been here every weekend, working his tail off). Needless to say, we've been pretty busy since closing day. We are getting close to finishing up our kitchen makeover. Although we have some things left to do (flooring and backsplash) I wanted to give you a sneak peek of our progress. Cabinets: The cabinets were in very good condition other than me not liking the color so we refinished them from a natural oak to a light grey (I will do a separate post on that!). Appliances: We got new appliances prior to closing, taking advantage of an insane 4th of July sale. We ended up saving nearly $3k on the set which also took up a big chunk of our budget (full kitchen and washer / dryer). We pushed out the delivery date to the day after closing and my Mom lent us the money since you aren't allowed to make any big purchases prior to closing. Paint: The walls in the kitchen were a mustard color so that was quick to go. The before photo above doesn't show how mustard it was. Since the kitchen already had granite, we decided to keep it and chose a neutral color that also worked well with the cabinets. Backsplash: This task is not complete and has turned out to be the biggest decision we are making in the kitchen! Apparently we do not have the same taste when it comes to backsplashes. Wish me luck! Flooring: We will use the same wood laminate in the kitchen that we're putting in the living room and master bedroom. It's a darker wood and will work really well with the lighter wall and cabinets. Window Treatment: We have 4 small pocket windows above the fridge that bring in a lot of natural light. They have no treatments on them - not sure if we want to purchase blinds that match the rest of the house or do something different. Any suggestions on this are welcome! 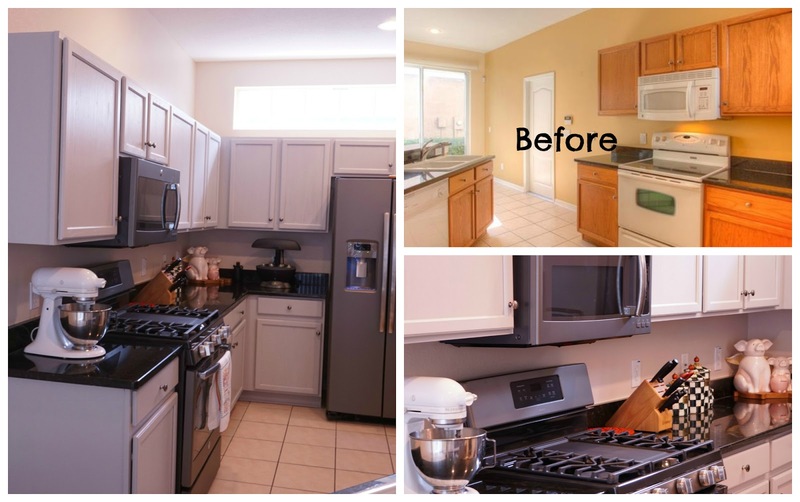 Giving your kitchen a makeover is a lot of work but is also fun. I loved being part of the process and seeing all the progress made each day. There are times you get frustrated and want to quit but every time I look in that kitchen, I think of all the hard work put into it. Our granite decided it wanted to join the paint party and got a few spots on it. Luckily I was able to get the paint spots off with ocelo™ No-Scratch Scrub Sponges which are gentle enough to use on delicate surfaces. When I first saw the paint marks, I panicked. Our granite is black and the paint is a cream/grey color. There was no hiding it and I didn't want to risk scratching! 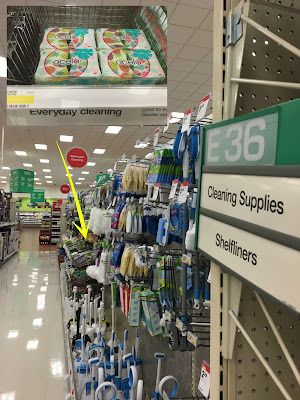 I found the ocelo™ scrub sponges in a 6 pack at Super Target and gave it a try. They did the job! 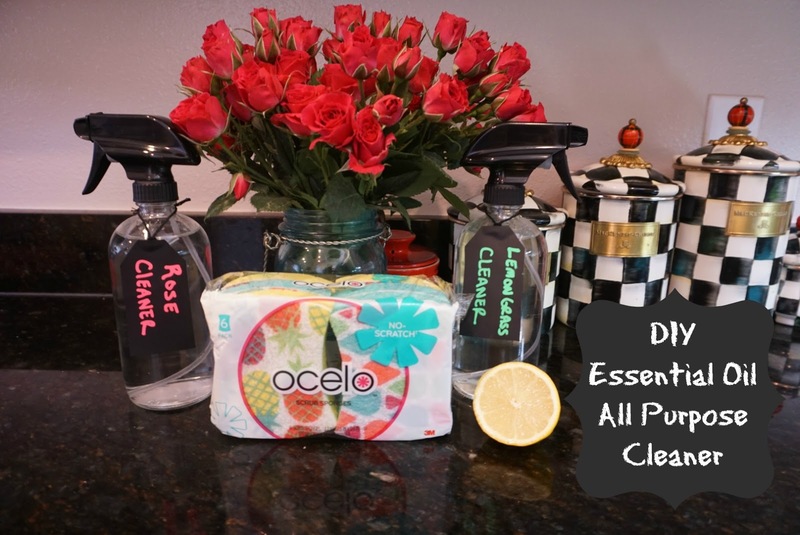 Instead of using store bought cleaner, I decided to make a DIY cleaner using my favorite essential oils. I love that they are all natural and you can make them with whatever scent you prefer. Lemongrass is my all time favorite oil, it reminds me of being in a spa and I use it on almost everything. Nothing like catching a little zen while cleaning! Aside from lemongrass, floral scented oils such as rose and lavender also are also great for all purpose cleaners. It's super easy (and cheap!) 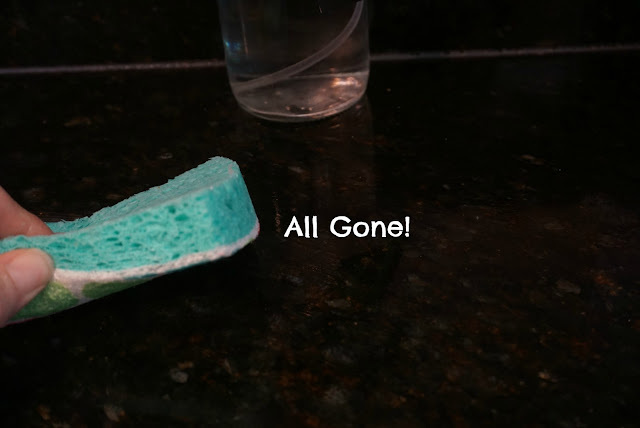 to make your own all purpose cleaner and has only three ingredients. In less than 60 seconds, you will have an all purpose cleaner using your favorite essential oil! 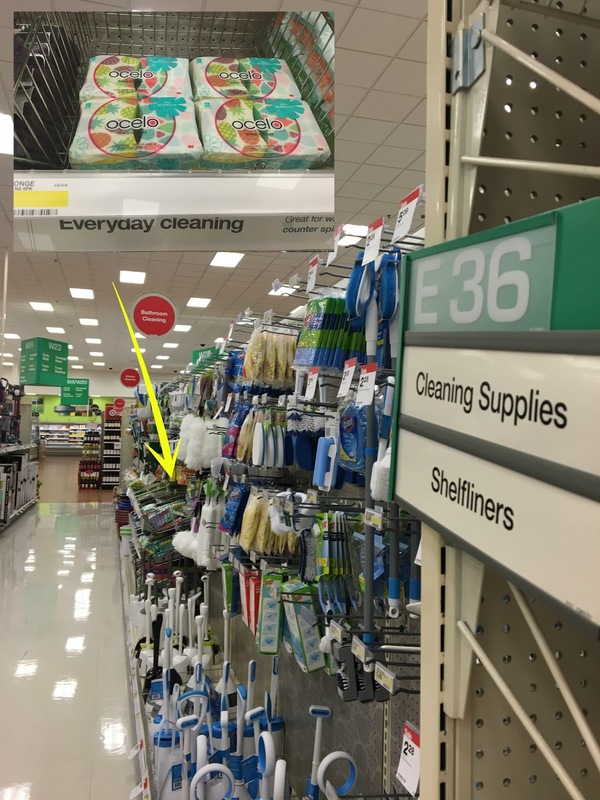 As I mentioned, I picked up my ocelo™ no-scratch scrub sponges from Super Target which happens to be located right down the street from our house in Tampa. 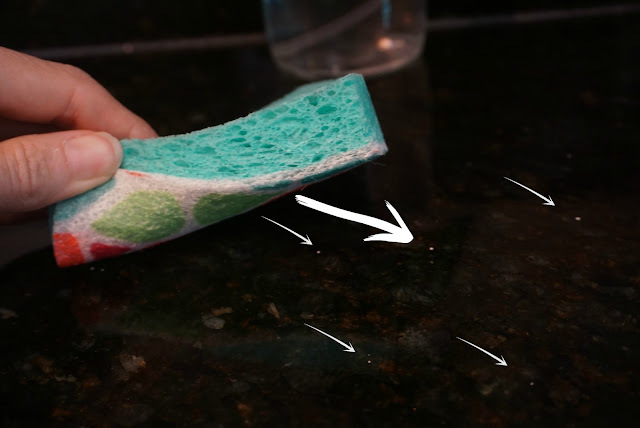 These are the only sponges I use and they're great for delicate surfaces without scratching and ideal for glassware, china, stainless steel, non-stick cookware, glassware, china, and bathroom tile. Plus they come in cute bright designs. Click here to save $0.50 off One ocelo™ Scrub Sponge Multi-pack. Stay tuned for more house updates! I will be posting all of our projects on here with tutorials on how we did it.